Named the “Entrepreneur of the Year” by Xology Magazine in 2008, Joe Gough is an inventor, entrepreneur, and start-up consultant. 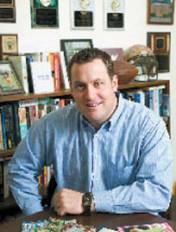 After a stellar academic career as a Hall of Fame student-athlete and honors graduate, Gough began his professional career in education. While teaching at an elite Midwest prep school, he became the youngest Dean in the 125 year history of the institution. During his tenure there, he also cultivated an award–winning hobby as multimedia writer and producer. Joe GoughGough left academia for the private sector in 2001, where he quickly established himself as force in the world of multimedia production and design. Success with artists like Kid Rock and Sheryl Crow led to him to begin consulting on a variety corporate initiatives, from brand development to new media strategies. After a long and profitable consulting engagement with Lexis Nexis & Lawyers.com, Gough left to form Brainstorm Creative Consulting in late 2007. His innovation and start-up consulting endeavors matured to the point where he began patenting many of his own business methods and technologies. His patent-pending “Millionaire Greetings” lottery game is under process review in 17 states and preparing to launch commercially in 2010 (www.millionairegreetings.com). 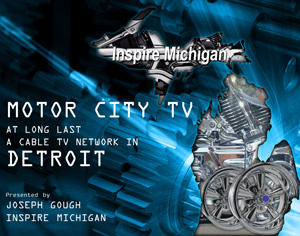 Along with Gough’s professional accomplishments, he started a non-profit organization and radio show called Inspire Michigan on WDTK AM-1400. The 501(c)3 charity is dedicated to economic development by supporting innovation and entrepreneurship in Michigan. Joe lives near Ann Arbor, MI, with his high school sweetheart and their two children.